I love candles...especially this time of year. Enjoy Women of Faith!! For some crazy reason, I am lazy about candles. I think because scents give me a headache sometimes? Are all of your scented or are some just tea lights? I need more details. This is something I would love to employ. 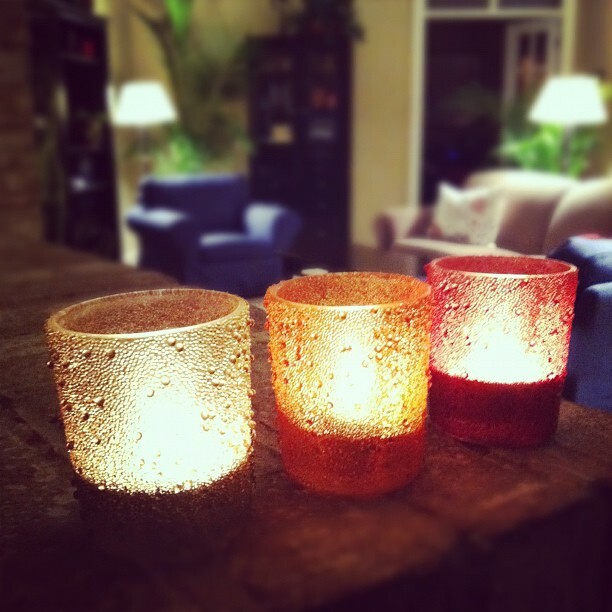 Candles are the beautiful thing which make a man romantic and calm.Its nice to have a dinner in the light of candles.